On Tuesday evening, I found myself listening to the sounds of burping sand dunes in the Mojave Desert. This was unusual for me. Earlier in the day, I had attended the Victorian Popular Fiction Association’s Conference in Senate House Library, which is my more usual academic stomping ground. From panels dominated by young women fascinated by gender stereotypes in penny dreadfuls, animal imagery in Dickens, and representations of class in Victorian fiction, I braved the rush hour and crossed town in time to hear Trevor Cox’s lecture, hosted by the Audio Engineering Society and the Institute of Acoustics, on the science behind his latest book, Sonic Wonderland. Here I joined the ranks of largely male sound engineers and acousticians eager to debate the various virtues and principles of sonic phenomena across the globe. An ardent believer in interdisciplinarity, and a researcher in nineteenth-century sound studies, I nevertheless found myself nervously wondering whether I would feel lost in a sea of charts, frequencies, and decibels; whether I could even tell the difference between sonic feedback and free jazz. However, as Professor Cox regaled us with his tales of saxophone playing in the Inchindown Oil Tanks, a musical road in California that sings the William Tell Overture, and an abandoned spy station in Teufelsberg whose near-spherical radome allowed him to whisper into his own ear, I was struck anew by the rumbles, roars, groans, moans, cracks, thwacks, pops, rustles, and rings that endlessly fill the air around us with sounds – sounds we can hear and sounds we cannot. There is truly, as George Eliot famously wrote in 1874, a ‘roar on the other side of silence’, and we can only begin to hear and understand it, by learning to become better listeners. There were, I realised, definite continuities between the figures I have been researching who, around 200 years ago, were feeling their way blindfolded (as it were) through a strange and disorienting new world of sound and the amazing work that audio engineers are doing today. 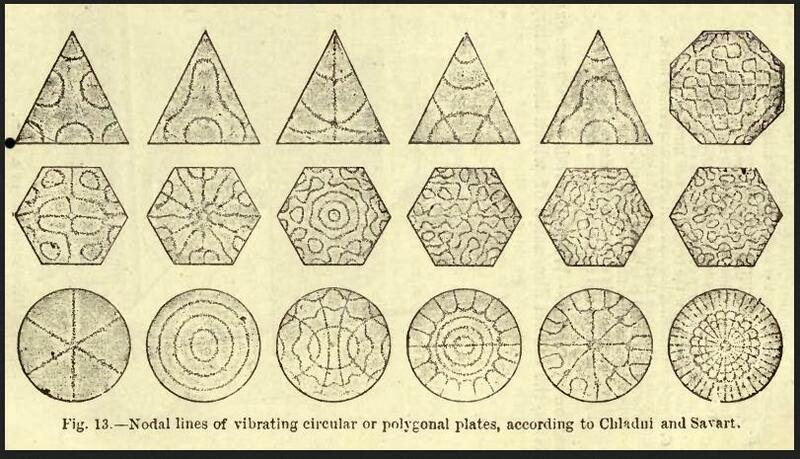 When, in the late eighteenth century, the German physicist and musician Ernst Chladni drew a bow over a piece of metal covered in sand, he revealed that various modes of vibration caused the sand to concentrate along nodal lines, forming beautiful geometrical patterns that could be seen with the naked eye and preserved in drawings. Sound suddenly became a material phenomenon; it was now known to travel in waves and it generated wonder and aesthetic pleasure. The nineteenth century was filled with new devices to create, filter, represent, and display sound. 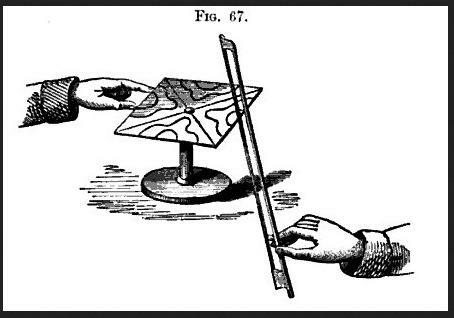 In 1807, for example, Thomas Young used a stylus to produce tracings of the vibrations of sound-producing objects such as tuning forks, and Charles Wheatstone’s Kaleidophone, demonstrated in 1825, consisted of a series of glass beads fixed to the ends of circular rods which, when set in motion, produced a series of spectacular patterns in regular forms. They may seem basic now, but these were the sonic wonders of the nineteenth century, and they led to the invention of the telegraph, the phonograph, and the telephone in that same period. 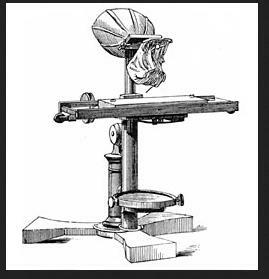 Other sound devices were to fare less well, like the psychograph, a machine designed to write at the dictation of spirits, or Alexander Graham Bell’s ear phonautograph, which was built from a dead human’s ear that had been pickled in spirits and attached to a recording stylus. But, modern or Victorian, the bizarre, the quirky, the fun, and the out and out strange all have their place in the sonic landscape – if we only listen closely enough. We are big on peace and quiet in Oxford. For eight hours a day, the most that is likely to disturb me from my research is the faint lowing of cattle in the fields behind the college, or the movement of papers around me in the Bodleian. The occasional student outburst or blast of music from the halls is quickly quashed. Stéphane Mallarmé, in his capacity as a visiting lecturer in 1894, was astonished by this town whose guiding principle in its development over the past thousand years has been to create and sustain an environment conducive to contemplation and concentration. It is a vast and elaborate greenhouse constructed with the express purpose of nurturing those tender, rare and ever-so-delicate orchids we call inspiration. Of the many kinds of fertiliser on offer, the one they thrive on most is quiet. But I don’t want to whinge. This is London. I signed up for this. I’m one of the eight million wedged sideways into this great city, in which there is so much to love, and it seems to me that an essential part of the condition we call ‘being a Londoner’ is being sick of noise. It is no great coincidence that our English word ‘noise’ is derived from the Latin nausea. The inhabitants of this city have suffered from noise-sickness for a very long time. It was writers and philosophers of the nineteenth century, such as Charles Dickens, Thomas Carlyle, and Charles Babbage, who were among the first to bear witness to the hazards and disruptions of an industrial soundscape. Dickens’ letter to Parliament in the 1860s closes with mention of those ‘frightful noises in despite of which your correspondents have to gain their bread’. 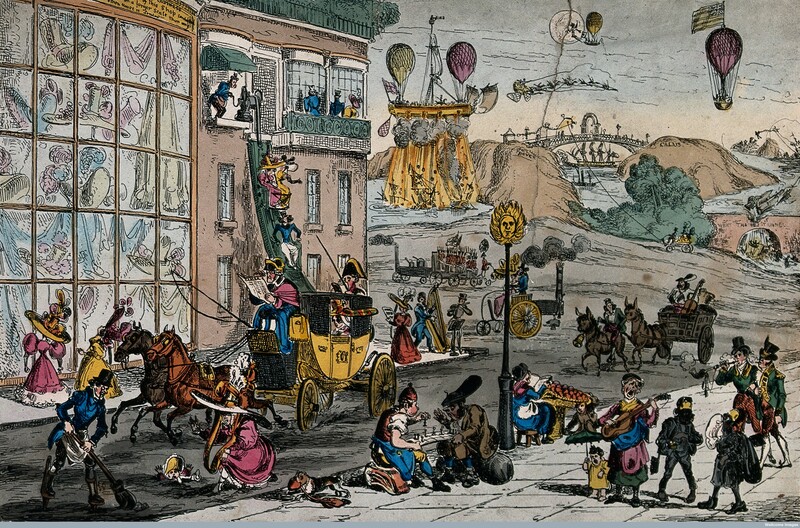 Babbage, too, waged a passionate and very personal war against street musicians, declaring that his ideas were being destroyed by the sound of organ grinders in London’s streets, and that the sum total of these interruptions reduced his work by one quarter of what it might otherwise have been. Earlier, in 1853, Thomas Carlyle, driven to breaking point by the distracting sounds of his neighbourhood in Chelsea, endeavoured to raise his house by another storey to install a soundproof study at the top of it. The array of psychological and physiological responses to noise ranges from headaches, sleep loss, distraction, and stress to hearing loss, tinnitus, hallucination, and even suicide. These are the symptoms of the diseases of modern times, modern cities, modern life. I must, I realise, expect to catch at least one or two of them over the next five years even as I investigate them for my project, ‘Sounding Out the Body in Victorian Literature, Science, and Medicine’, but it is an investigation worth the pain, for what they inflict on us is constitutive of our modernity. That said, as I sit gazing out across the college quad through my double-glazed windows, I am also glad that I can sometimes be at a distance from the noise and turmoil of London, which fades away now, leaving only the rustling pages of work to be done. Two of our project members, Dr. Amelia Bonea and Dr. Jennifer Wallis, will be presenting aspects of their research at the 41st Symposium of the International Committee for the History of Technology, to be held in Braşov, Romania, from the 29th of July to the 2nd August 2014. Their presentations are part of a panel titled “‘The Dark Side of Technology’: Technology and Illness since the Nineteenth Century”, convened by Amelia Bonea. The aim of the panel is to provide a forum for discussing the relation between technology and disease and will examine technology not only as a cure of disease but also as a cause of physical and mental illness. The participants hope that their research will highlight parallels and contrasts between the nineteenth-century scenario and contemporary uses of technology. In her paper “‘The Arm Troubles of Telegraphers’: Historical Perspectives on Technologies of Communication and Repetitive Strain Injuries”, Amelia Bonea will discuss a medical condition associated with the use of Morse telegraphs and known as “telegraphist’s cramp”. During the nineteenth century, “telegraphist’s cramp” belonged to a group of musculoskeletal disorders which also included “writer’s cramp”, a condition prevalent among writers and clerks. The symptoms were pain, numbness, tingling of the arm and wrist and, in severe cases, paralysis of the fingers. In 1908, “telegraphist’s cramp” became one of the first chronic disorders to be recognized as compensable under the Workmen’s Compensation Act. Amelia will show how the etiology of the cramp has oscillated between a “disease of the body” and a “disease of the mind” since the late nineteenth century and how medical knowledge about this condition was circumscribed by contemporary ideas about what it meant to live and work in a modern, technologically advanced society. Unlike traditional infectious diseases, “telegraphist’s cramp” was a condition with diverse symptoms, whose specific lesions were difficult to identify. Especially in the period before WWI, there was a strong belief that the disorder had an underlying psychological component, affecting people of an anxious, nervous disposition, who were unable to adapt to the frenetic pace of modern life. A second paper by Jennifer Wallis will be considering medical technologies in the nineteenth century under the title ‘“What the Great Majority of Patients Require is Letting Alone”: The Uses of Technology in the Asylum’. Here, a medical technology (the sphygmograph, used to chart the pulse) is capable of altering both everyday practice and the state of mind of patients themselves. The sphygmograph promised to reveal the innermost workings of the human body, with asylum practitioners hoping of map the characteristic pulse forms of different mental diseases. Employing such technology proved difficult in the asylum, however. The excitable nature of many patients necessitated modifications such as the strapping of the instrument to the arm, whilst the anxiety of others prevented doctors from applying the instrument at all. Jennifer will be considering how the sphygmograph was used within the asylum, particularly how its presence could problematize the very objectivity it was intended to provide. The instrument’s tendency to inspire ‘horror and fear’ in its subjects had clear implications for the assessment of patient’s mental states, the medical knowledge gained from investigation, and the boundaries between physiology and psychology. In assessing mental states in this way, doctors were forced to address how mental illness could be both a physiological fact (an unusual pulse form) measurable by an instrument and a changeable condition dependent upon external factors (fear of medical examination). The instrument also impacted upon patient experiences, both in the immediate examination and via subsequent drug treatments to alter the pulse, where broader issues were raised such as the applicability of general hospital methods to the asylum context and the therapeutic value of physiological investigation.